Liverpool Beatles Auction: We all live in an original box! 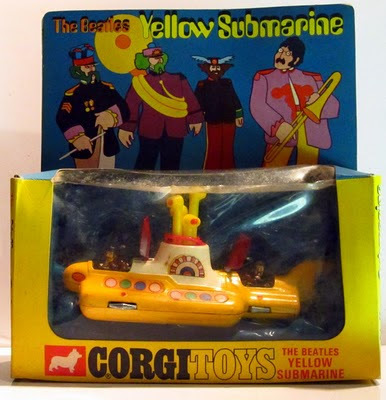 We already have some original Yellow Submarine Corgi toys in this year's auction, however this one is in lovely condition and, more importantly, is in its original box. The box has some wear and tear, and the item carries an estimate of £250-£300. The value comes from the box, as very often they were simply thrown away once the toy was taken out to be played with.